Limit-less Configurations – SwingBrim, cX-Hybrid, and cX Socket-less Socket. The Socket-less Socket™ is the most comfortable transfemeral socket available. It is now available in three configuration options—retrofit SwingBrim™, retrofit cX-Hybrid™, and the custom fit cX™ Socket-less Socket™. ket every time you put it on. No more static socket shape. No more hard ischial seat. No more loss of suction. View the free Socket-less Socket training at MartinBionics.com. M-Fingers are simple to operate and controlled by the user's own motion, allowing the patient to perform tasks more effectively, responsively, and with optimized precision. They conform around objects to provide a secure and confident grip for the user. M-Fingers were designed with high-strength, injected molded composite materials to deliver the durability and longevity needed for daily use. M-Fingers are manufactured by Partial Hand Solutions and distributed by College Park Industries. Visit www.college-park.com/fingers for more information. The new 21A47 Active TH Harness is available in three sizes (small, medium, and large). This innovative harness may be used for transhumeral fittings with electronic or passive elbows. The support system, which consists of an arm sling and a sleeve, is not fastened to the socket, which makes it completely removable. Users will appreciate the soft, moisture-wicking material and added comfort provided by the axillary padding. Talk with your Ottobock sales representative at 800.328.4058 or log on to professionals.ottobockus.com. The L1324 is not the friction braking knee of old. This geometrically aligned system never fails in stability. The L1324 is a polycentric manual locking knee with stance flexion. Elegantly simplistic design for stability. With correct alignment, the knee is always in a stable position for patient confidence. The L1324's PDAC-approved HCPCS codes are L-5611, L-5845, L-5850, and L-5925. Mt. Emey OTS foot orthotics provide the ultimate support and comfort for patients and yield the highest profit margin for practitioners. Our intention was to create a mutually satisfying product that could captivate the patient while economically thrilling our practitioners. Fabricated with the patient's comfort as the utmost priority, we developed a supremely cost-effective product while maintaining our durable market-leading materials to ensure a long-lasting experience. At a low price per pair, you can begin to introduce a new line of comfort for both you and your patients. Call to get yours today. The innovative Peak Scoliosis Bracing System™ is the only brace specifically designed for adults with scoliosis to relieve pain and enhance quality of life. Highly modular by design, the right brace can be customized for each patient and then adapted as patient needs or tolerances change over the course of care. 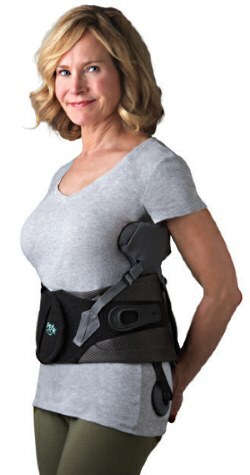 This patented brace from Aspen has been shown to improve posture, enhance mobility, increase vital capacity, and ultimately increase a patient's ability to perform activities of daily living. The SP High Density Liner features black fabric that allows for stability for active patients. The SP Liner has similar characteristics as silicone, but provides the superior comfort of gel. Now all Allard 2.0 AFOs come with a Starter Interface pad and two tibia pads. Call customer service for more information. Make it an Allard 2.0 AFO today! The Vista Ankle is a universal single-axis prosthetic ankle joint designed for elevated vacuum applications. The vacuum is generated from the ankle movements of plantarflexion and dorsiflexion during the gait cycle. The barb fitting for the vacuum hose connection is located inside the proximal tube clamp of the ankle, protecting it from damage. The distal female pyramid adapter is compatible with a wide range of prosthetic feet. 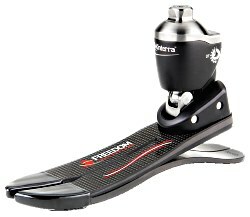 The Vista Ankle is cost-effective, low maintenance, lightweight (13 oz./385g), and has a weight limit of 275 lb./125kg. Contact us for more information. HCR silicone is clay-like so it can be formed into almost any shape without the need to build complex molds. Available as a two-part system, this compound is mixed with the help of a two-roll mill and baked at a low temperature to achieve cured durable rubber. It is available in several compatible formulations that produce different finished firmnesses. Make partial feet, hands, and finger appliances, liners, and more. Add new power to your problem-solving capabilities with these versatile, elastic, ultrastrong materials. HCR fabrication courses are available. Partial digit loss is among the most common and the most underserved amputation levels. Manufacturing advances, combined with clinical expertise and advanced engineering, have allowed Naked Prosthetics to create strong and functional prostheses that have been returning people to demanding jobs and hobbies for over three years. The new TRS OMEGA® wrist is friction-disconnect technology with tool-less, rotational, adjustable friction. After five years of development and testing, OMEGA is solid and reliable with unique, bulletproof capture and disconnect insert technology that tested significantly stronger than all competitors' systems. The OMEGA has lock in-lock out and lock open disconnect functions, an easy to insert disconnect adapter, it is machined from surgical grade stainless steel and aircraft aluminum, adapts to all voluntary opening and voluntary closing terminal technologies, and is competitively priced. This is the new body-powered standard for quality and function. Now all Allard 2.0 AFOs come with a Starter Interface Kit. The kit includes a SoftKIT pad and two tibia pads. Call customer service for more information. Make it an Allard 2.0 AFO today!